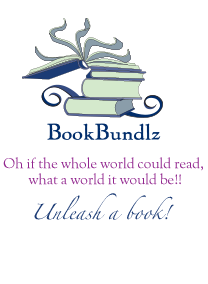 BookBundlz - Advertise Advertise with BookBundlz - Market and promote your book to book clubs & book lovers. We would love to hear from you! Please click here to send an inquiry about your advertising options with BB. The more specific you are on what information you would like to know when you contact us, the better. We can’t wait to hear from you!! Contact Us to set up advertising. All ads should be JPGs or GIFs at 72 dpi. Animated ads are limited to 6 frames and the fastest they can fly is 1 second per frame - longer, of course, is no prob. The ads are typically sold by the month but we are willing to discuss other opportunities based on availability. Pricing varies based on page placement. Not all ad sizes are available for every page. Please contact us for availability. We reserve the right to refuse advertising from any advertiser for any reason. BB Club Pick- NOT FOR SALE! One of 3 books featured for the month. Spotlights show an image of the book jacket, title. Book jacket and title will link back to a page about your book. BB offers several ways for you to help promote your book. If you are a registered Clubie, you can always add your book to the BB bookshelves at any time by adding your book to your personal Clubie bookshelf. This makes your book searchable by all visitors to BookBundlz & the book page will include: book description, ratings and reviews from Clubies, discussion forum, and a "Buy Now" option. (You book must first be in the Amazon database in order for our search to find your book. If your a clubie, and have a book on our site, send us your reading group discussion guide questions and we will add the reading guide to your book page for free! Click here to send your questions through our Contact Us page. Select "Discussion Guides" from the pulldown menu and cut and past your questions into the note field. Every book in our database has it's own BB book page.....you can enhance your book page with all the info you want to add...interviews, excerpts, editorials, links and more. 4. Enter our yearly "The Book Pick" competition to be our BB Club House Monthly Pick.